Some athletes have ambitions of setting a marathon PR, making it to Kona, winning a road race, or qualifying for the Boston Marathon. My ambition is to be the coach that gets them there. Matt has over seventeen years competitive experience in running, multi-sport, and adventure racing. He has competed in races up to 24 hours in duration, and has won overall placements as well as many age division finishes. Matt has been a member of Team USA multiple times. 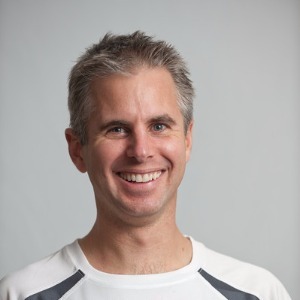 Matt is one of only a handful of coaches in the country to achieve the highest level of coaching certification (elite) by both USA Triathlon and USA Cycling, and is an expert in power based training. He is a full time coach and has worked with hundreds of athletes over the last seventeen years from around the US and internationally. He has coached Professional athletes and top amateur competitors in Iron Man, 70.3, Cyclo Cross, ITU (draft legal) triathlon, Duathlon, Mountain Biking, Xterra, and Road Cycling. Many of these athletes earned their Elite (pro) cards under his guidance. His athletes have won numerous races, including Regional, National, and World Champion titles. Matt served as Assistant Coach to the US team at the 2008 ITU World Cup in New Plymouth, New Zealand and served as the Team USA Coach for the 2011 ITU World Championship in Beijing. Matt is one of the few coaches in the U.S. to earn the highest level of licensing by both USA Cycling and USA Triathlon and he is USA Track and Field licensed as well. He completed the USA Triathlon Elite Mentorship Program, is also a USA Cycling Certified Power Based Training Coach and designed the power coaching curriculum for The Sport Factory. Success. Coach Matt R Russ has been notified of your message.